TOKYO (AP) — Japan's Emperor Akihito and Empress Michiko celebrated their 60th wedding anniversary Wednesday just three weeks before he abdicates his throne. LONDON (AP) — Clare Waight Keller of Givenchy is the master British designer behind the sleek silk boat-necked gown and long billowing veil worn by Meghan Markle as she walked down the nave of St. George's Chapel for her wedding to Prince Harry. The clean lines of the white dress highlighted Markle's smiling face Saturday as she sat at the altar of the chapel, holding Harry's hand as the sprawling train lay at her feet. LONDON (AP) — When Meghan Markle became engaged to Prince Harry, the American TV star seemed to charm everyone she met. She and Harry toured Britain to adoring crowds, and she pledged to hit the ground running once she officially joined the royal circle. 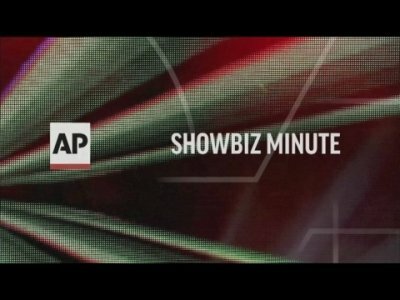 NEW YORK (AP) — From pubgoers in pajamas to merrymakers in finery at a posh hotel, Americans cheered and teared up Saturday as they watched Meghan Markle marry Prince Harry in a royal wedding with trans-Atlantic resonance. 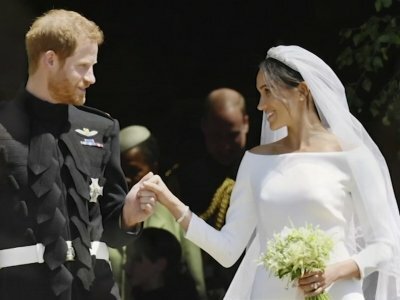 People gathered at wedding watch parties — some before dawn — at a Hollywood pub and New York's swanky Plaza hotel, in oceanfront towns in Florida and spots in the Rocky Mountains, to see an American of mixed race heritage become part of Britain's royal family. WINDSOR, England (AP) — Nothing quite captured the trans-Atlantic nature of Saturday's royal wedding as much as the guest preacher whose sermon brought American flair to a very English church service. BURLINGTON, New Jersey (AP) — With a gospel choir, black cellist and bishop, Oprah, Serena and Idris Elba in the audience and an African-American mother-of-the-bride, Saturday's wedding of Prince Harry to American actress Meghan Markle was a blend of the solemn and the soulful. Guess who's coming to Windsor? The ceremony married the pomp and circumstance of Britain's most sacred institution with elements of black culture, drawing viewers not normally drawn to the spectacle of the monarchy. Like every good royal wedding, it was all about the hats, the dresses and the posh tails, with some fashion standouts among the guests at Windsor Castle. Amal Clooney was undeniably regal in a mustard yellow Stella McCartney dress with cap sleeves and a long tie in back that bordered on a train as she glided into St. George's Chapel on Saturday for the wedding of Prince Harry and Meghan Markle. 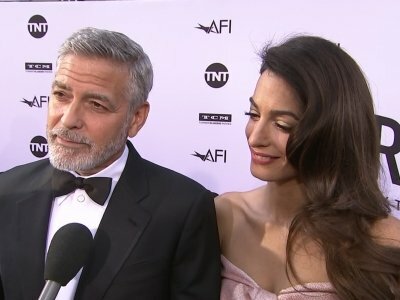 Her actor husband, George Clooney, was at her side in subtle grey and a pale yellow stripe tie. LOS ANGELES (AP) — Meghan Markle's road to royalty ran through Hollywood. LONDON (AP) — It was a statement that confirmed Prince Harry's burgeoning maturity and his iron determination to struggle for what he cherishes and believes in. Ready to fight for his right to lead a semi-normal life in a semi-crazed fishbowl environment. Ready to demand respect for the woman he loved, one he perhaps already hoped to marry. LONDON (AP) — Thomas Markle appealed to his daughter Meghan to call home, saying Monday they hadn't spoken since her wedding to Prince Harry in May. The former actress, now known as the Duchess of Sussex, has ignored his attempts to get in touch, Thomas Markle told ITV. Markle had been scheduled to walk his daughter down the aisle, but pulled out of the wedding at the last moment because of heart problems. TOKYO (AP) — Japan's Princess Ayako married a commoner in a ritual-filled ceremony Monday at Tokyo's Meiji Shrine. Ayako and groom Kei Moriya were shown on national news walking slowly before guests at the shrine. The wedding took place in one of the pagoda-like buildings in the shrine complex and included an exchange of rings and a sharing of a cup of sake, according to Japanese media. Both rituals are relatively routine for Shinto-style weddings, including those of regular Japanese. LONDON (AP) — Meghan, the Duchess of Sussex, has described how she worked with designer Clare Waight Keller of Givenchy to create a "timeless" wedding gown for her wedding to Prince Harry earlier this year. Harry and the former Meghan Markle recorded their memories of the wedding for an audio commentary that is part of the new "Relive the Royal Wedding" exhibition at Windsor Castle that opened Friday. Harry and the former Meghan Markle recorded their memories of the wedding for an audio commentary that is part of the new "Relive the Royal Wedding" exhibition at Windsor Castle that opens Friday. The gown is set to be the prime attraction at the 10-week display. WORCESTER, Mass. 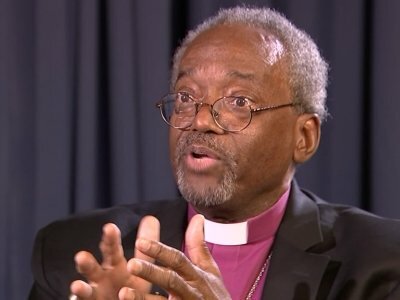 (AP) — The American Episcopal bishop who made headlines around the world with his stirring sermon about the power of love at the wedding of Prince Harry and Meghan Markle is coming to Massachusetts. CANBERRA, Australia (AP) — They both wanted children. They knew it was time. Meghan had ended her acting career and moved to Britain to be a full-time royal. Prince Harry had stepped down from the military and wanted to settle down. 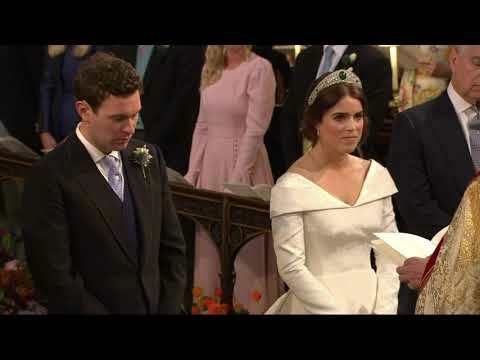 LONDON (AP) — The royal wedding of Princess Eugenie and Jack Brooksbank was a big hit in terms of British TV viewership. 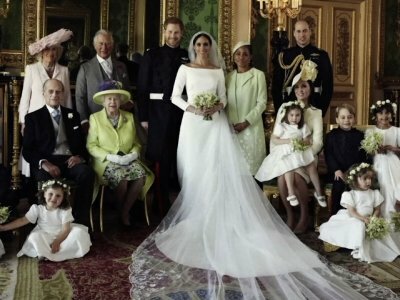 ITV said Saturday that it added roughly 2.1 million viewers during its extended morning program that showed live coverage of Friday's wedding at Windsor Castle. ITV was the only U.K. broadcaster that showed the entire service live from St. George's Chapel. WINDSOR, England (AP) — Britain's Princess Eugenie married tequila brand ambassador Jack Brooksbank in a star-studded royal wedding Friday at St. George's Chapel on the grounds of Windsor Castle. 1. "IT WAS AWFUL, AND NOW THERE'S JUST NOTHING LEFT"
The destruction of many Florida communities dotting the white-sand beaches is being called catastrophic as the storm barrels up the Southeast, dumping heavy rains and spreading flash flooding misery as far away as Virginia. Princess Eugenie is wearing a gown designed by Peter Pilotto and Christopher De Vos for her wedding to Jack Brooksbank. The dress features a neckline that folds around the shoulders to a low back that drapes into a full-length train. The bride is also wearing the Greville Emerald Kokoshnik Tiara, which was loaned to her by her grandmother, Queen Elizabeth II. WINDSOR, England (AP) — It's time for another royal wedding at Windsor Castle — but this time it's less of a global TV spectacle and more of a family affair. Despite large signs at the castle's ticket booth welcoming people to the wedding, many visitors seem unaware that Princess Eugenie, granddaughter of Queen Elizabeth II, will marry tequila company executive James Brooksbank Friday. LONDON (AP) — Prince George and Princess Charlotte will be among the pageboys and bridesmaids at the wedding of Princess Eugenie and Jack Brooksbank. LONDON (AP) — There will be military fanfare and red velvet cake when Princess Eugenie weds this week — Britain's second royal wedding of the year. The 28-year-old granddaughter of Queen Elizabeth II is due to marry liquor company executive Jack Brooksbank on Friday in St. George's Chapel at Windsor Castle. Prince Harry, her cousin, and American actress Meghan Markle married at the same venue in May. LONDON (AP) — It's an old tradition that a bride should have something old, something new, something borrowed and something blue on her wedding day, and the Duchess of Sussex followed at least part of that when she married Prince Harry. LONDON (AP) — The outfits Prince Harry and Meghan Markle wore at their wedding are to go on public display later this year at the ceremony's venue, Windsor Castle. Royal fashion fans will be able to get a close look at the bride's silk Givenchy wedding dress and 16-foot (5-meter) veil, as well as the diamond-and-platinum tiara loaned to Meghan by Queen Elizabeth II. LONDON (AP) — Weeks after tying the knot themselves, the Duke and Duchess of Sussex were at another wedding Saturday — this time as guests. Prince Harry and Meghan Markle attended the wedding of the prince's long-time friend Charlie van Straubenzee to videographer Daisy Jenks. Van Straubenzee has known the prince since childhood and was an usher at Harry and Meghan's wedding at Windsor Castle in May. NEW YORK (AP) — The American clergyman who preached about the power of love at the wedding of Prince Harry and Meghan Markle has undergone surgery for prostate cancer. An Episcopal Church spokeswoman says the surgery was performed Tuesday on the Most Rev. Michael Bruce Curry. NEW YORK (AP) — Thomas J. Mace-Archer-Mills, Esq., knew more about the royal wedding than the millions who listened to his global TV commentary outside Windsor Castle — delivered in a posh British accent. It turns out he's a mere Italian-American mortal — from upstate New York. Tommy Muscatello first learned to sound undeniably British in a high school production of "Oliver" two decades ago. After months of holding hostage hundreds of thousands of undocumented young people who came to the United States with their parents, President Trump now sets his sights on a new set of young victims to try to force passage of an immigration overhaul that has scant public support. A spokesman for Dickmann's Schokokuesse, a popular sweet in Germany especially among children, apologized for the picture depicting Markle, who has an African-American mother, as a chocolate-covered marshmallow with a crown, a white dress and wedding bouquet. LONDON (AP) — The American bishop whose sermon caused a stir at the wedding of Prince Harry to Meghan Markle thought the invitation was a prank. Rev. Michael Curry told ITV that he thought "somebody was doing an April Fools' joke on me." Curry's sermon, entitled "The Power of Love," was one of the most discussed moments during Saturday's wedding. NEW YORK (AP) — Perhaps getting married to a U.S. television star helps in the royal wedding ratings. The Nielsen company says 29.2 million people in the United States watched the wedding of Prince Harry and American actress Meghan Markle early Saturday. The London ceremony aired starting at 7 a.m. Eastern time and was carried live on 15 different networks. The telecast topped the 22.8 million people who watched Harry's older brother, Prince William, marry Kate Middleton in 2011. LONDON (AP) — Kensington Palace has released three official wedding photographs taken of Prince Harry and the former Meghan Markle shortly after their wedding. Alexi Lubomirski's images include a family portrait of the couple with Queen Elizabeth II, Prince Charles, Prince William and their spouses, as well as Markle's mother and the children who served as bridesmaids and page boys. A second image shows the Duke and Duchess of Sussex, as they now are known, just with the children. LONDON (AP) — Meghan Markle has offered a glimpse of how she sees her new role as the Duchess of Sussex in two new pages posted on the royal website hours after the former actress married Britain's Prince Harry. LONDON (AP) — Unwilling to kiss Prince Harry and Meghan Markle's wedding goodbye just yet, Britain basked Sunday in the scale of the spectacle as major broadcasters kept scenes from the royal nuptials on repeat along with fresh interviews with the bride's dressmaker. The newlyweds have not been seen in public since they left Windsor Castle in a rare 1968 Jaguar convertible for a Saturday night reception hosted by the groom's father, Prince Charles. WINDSOR, England (AP) — The son of British royalty and the daughter of middle-class Americans wed Saturday in a service that reflected Prince Harry's royal heritage, Meghan Markle's biracial roots and the pair's shared commitment to putting a more diverse, modern face on the monarchy.